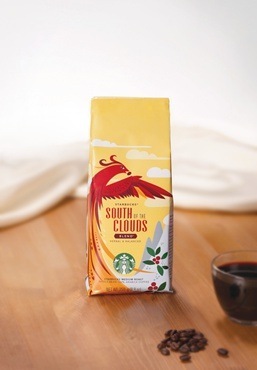 Is a medium coffee balanced with flavors of herbs. This coffee is our first blend that includes coffee from China and this distinctive blend combines coffees from Asia- Pacific, including the Yunnan Province in China. Set in the foothills of the Himalayas, Yunnan boasts snowcapped mountains, deep canyons, and lush tropical lowlands that support the countries great diversity of plants, birds and mammals, including Asian elephants and tigers.